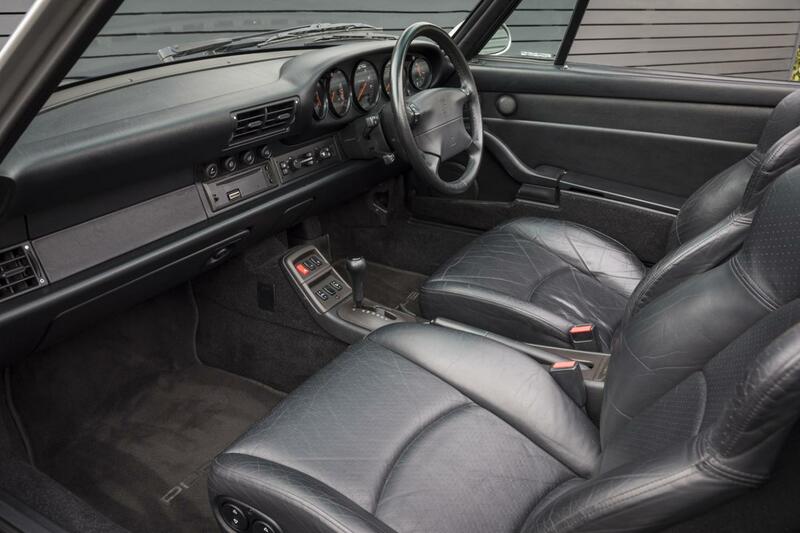 FACTORY OPTIONS INCLUDE: – 4-SPEED TIPTRONIC TRANSMISSION, LEATHER INTERIOR, AIR CONDITIONING, ELECTRICALLY-ADJUSTABLE SPORT SEATS, TIPTRONIC BUTTON STEERING WHEEL, INTERGRATED WIND DEFLECTOR, ELECTRIC HEATED DOOR MIRRORS, ELECTRIC WINDOWS, 17” ALLOYS, ELECTRIC HOOD, CENTRAL LOCKING, HEADLAMP WASH, ON BOARD COMPUTER, HIGH LEVEL REAR BRAKE LIGHT, TOP TINTED WINDSCREEN. 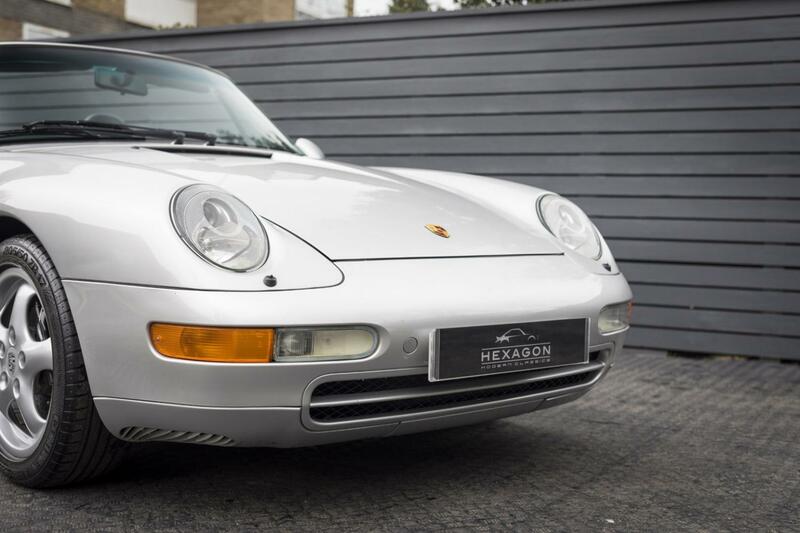 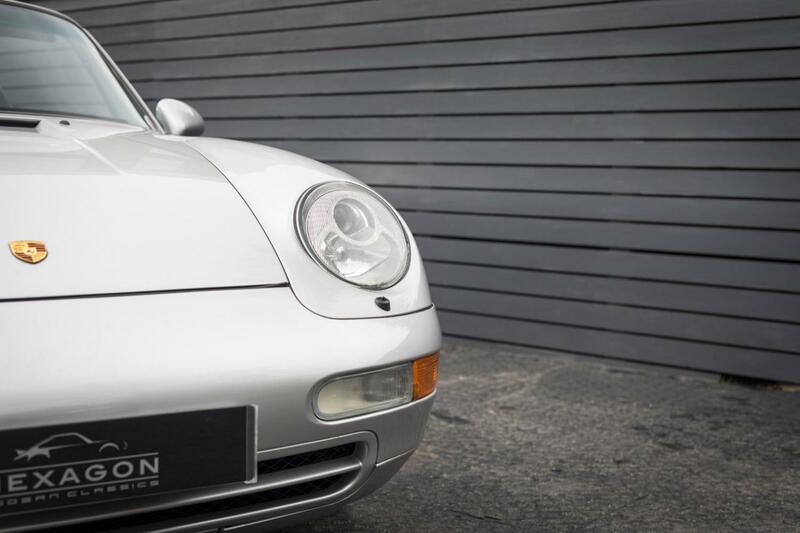 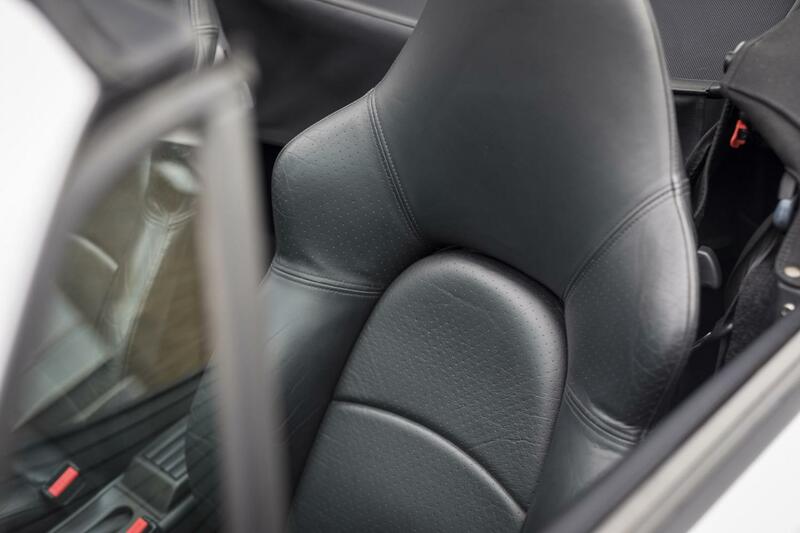 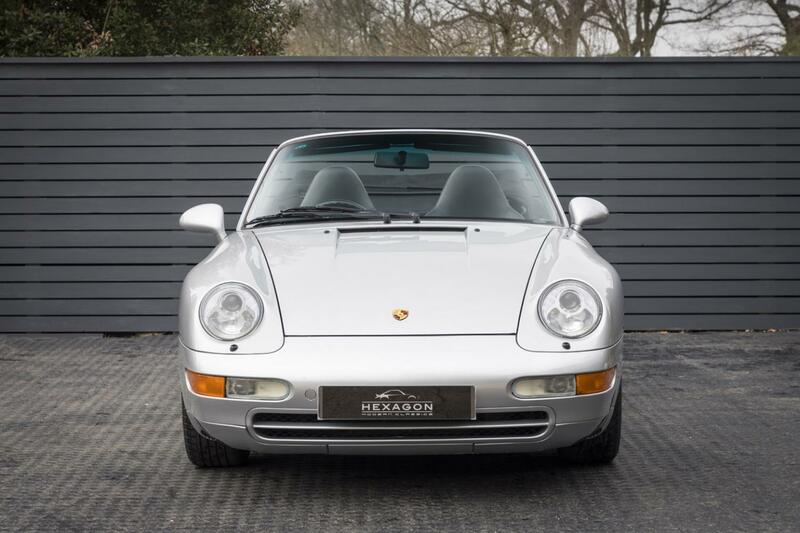 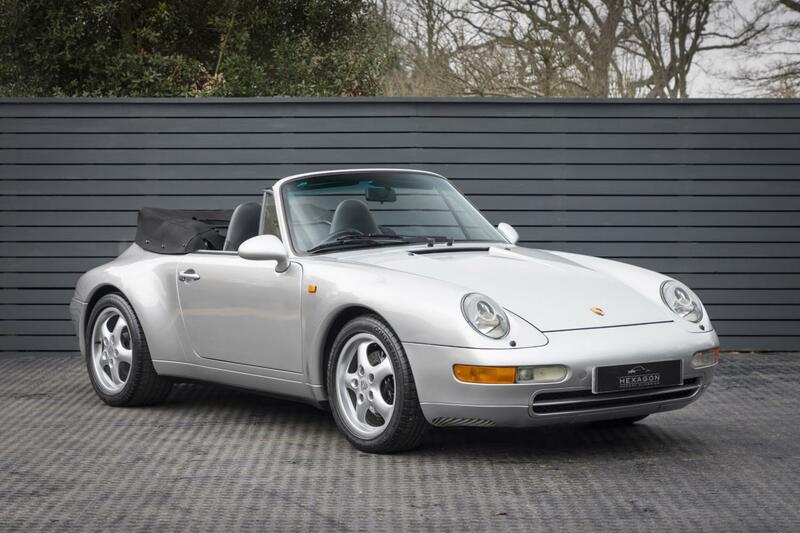 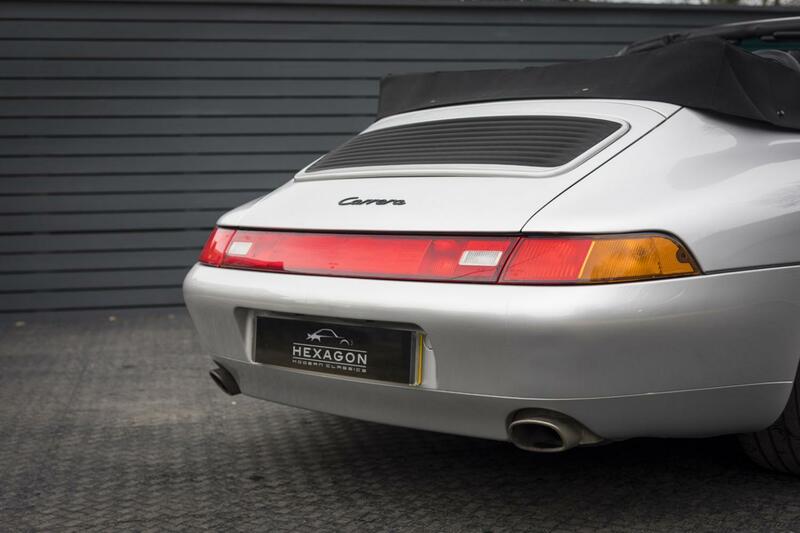 Hexagon Classics are very pleased to offer this immaculate 993 Varioram-model Carrera Cabriolet in the timeless German colour combination of Artic Silver complemented by black leather and a black hood. 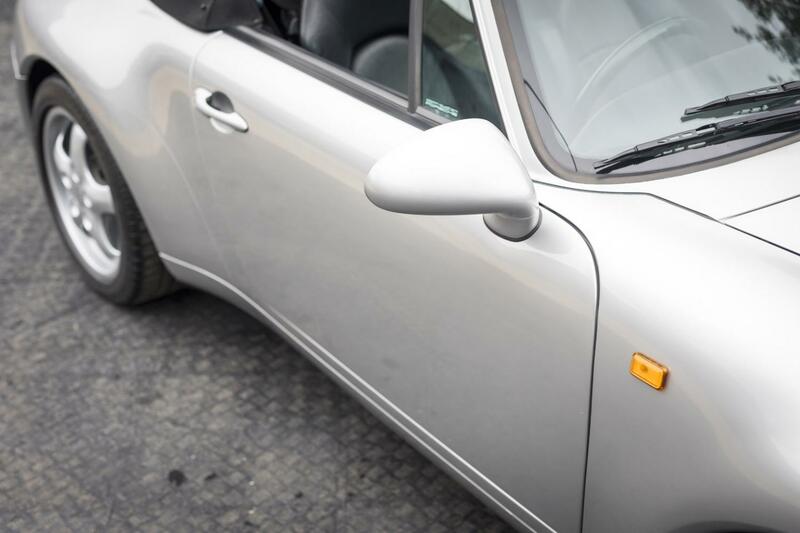 Our car has had just two keepers from new! 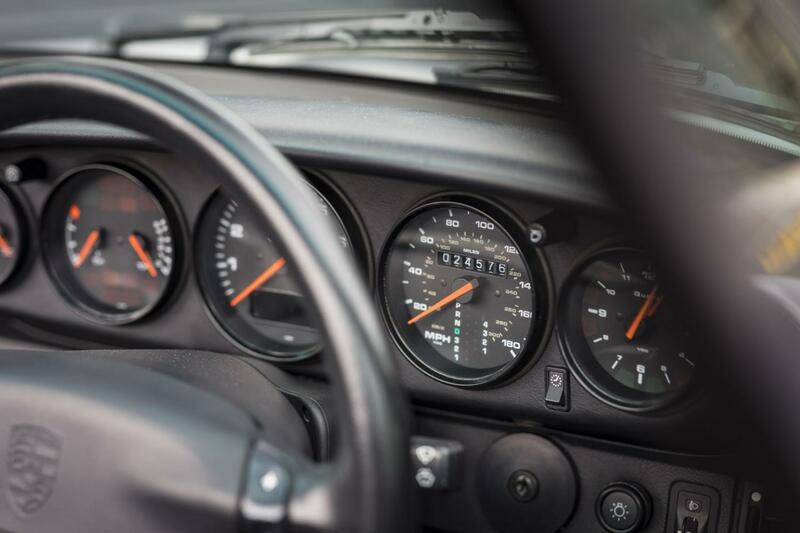 The last of the air cooled 911’s holds a special place in the heart of the followers of the 911. 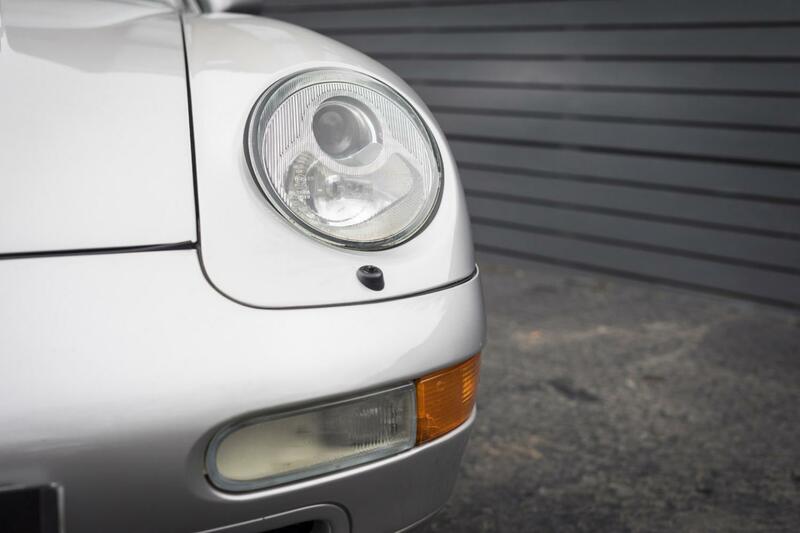 One owner cars with full and verified Porsche service history are almost impossible to source. 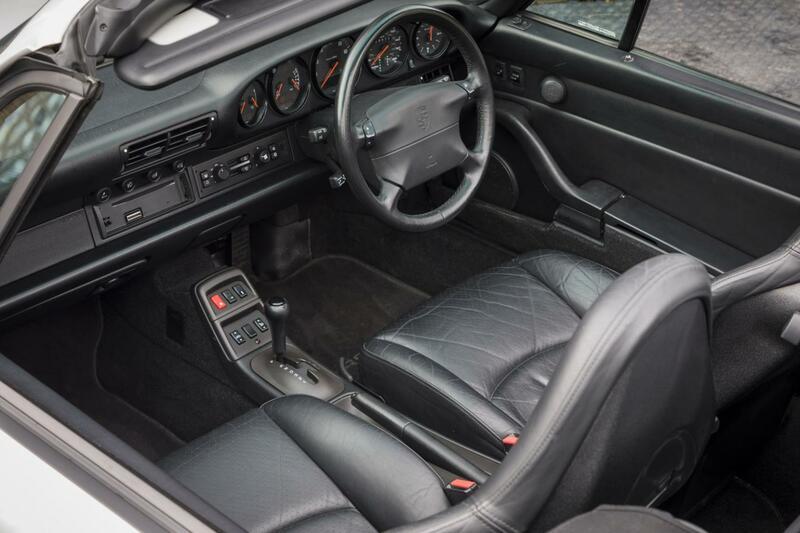 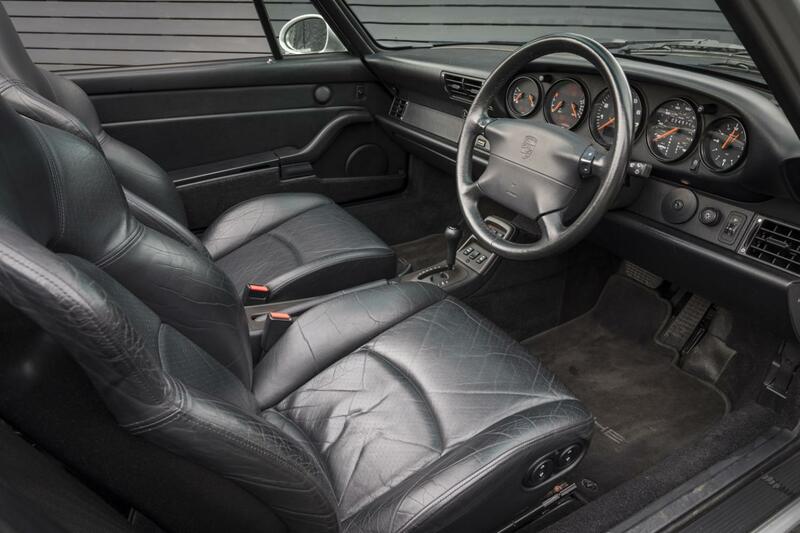 The fact that this example has covered so few miles for its age makes this car that bit more even special. 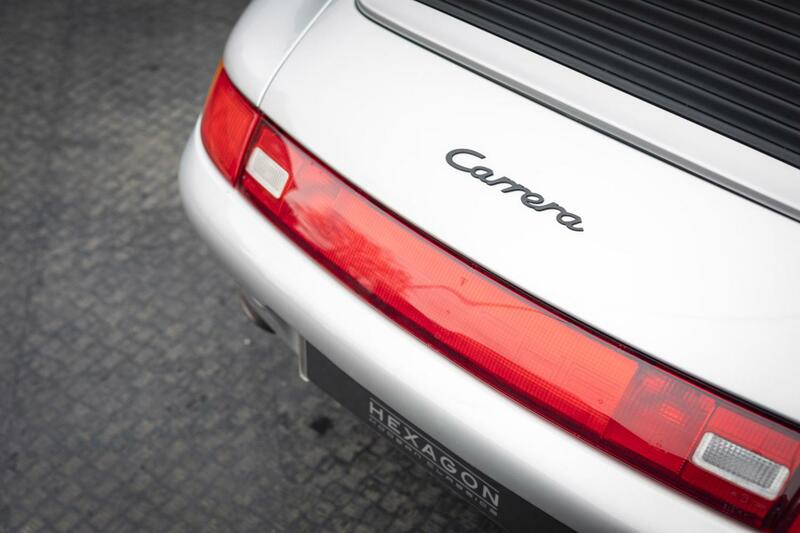 The 911’s horizontally-opposed 6-cylinder engine is located at the rear, like that of a racing car. 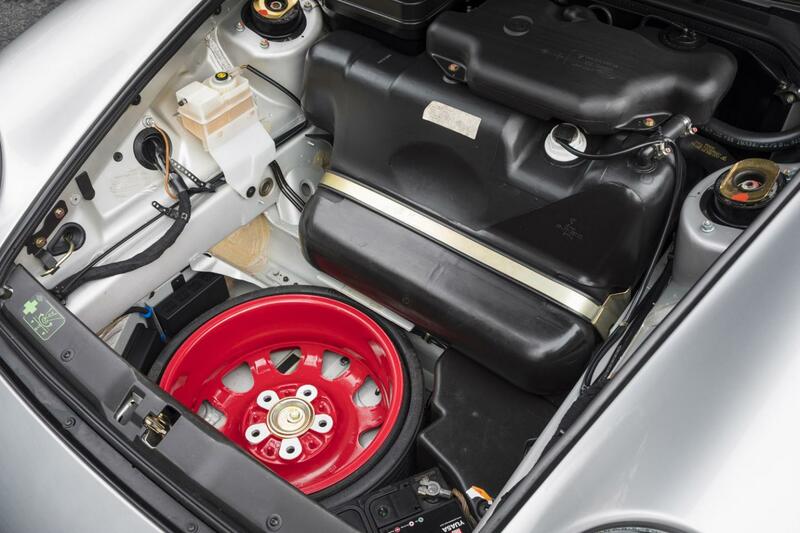 Putting the weight of the engine on the driven wheels provides increased traction. 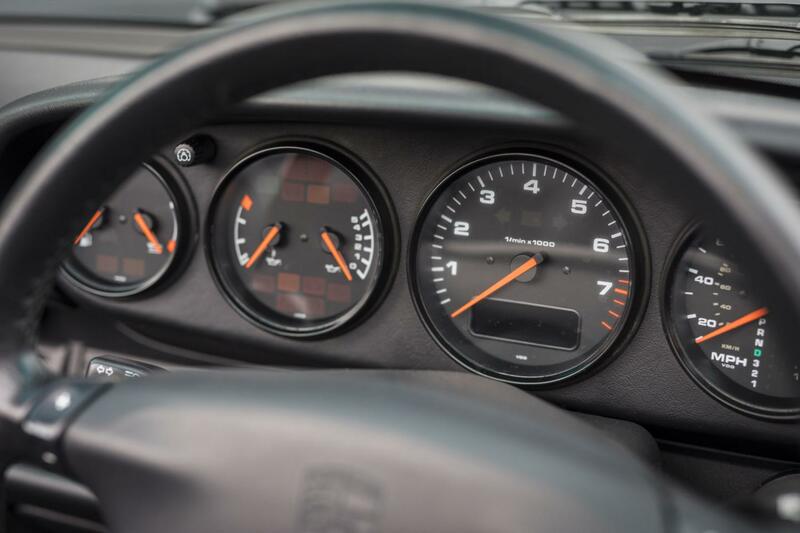 The 911 is built to withstand extremes of stress which are rarely encountered on public roads. 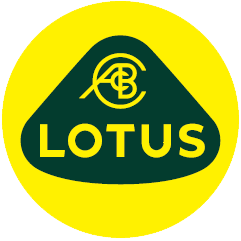 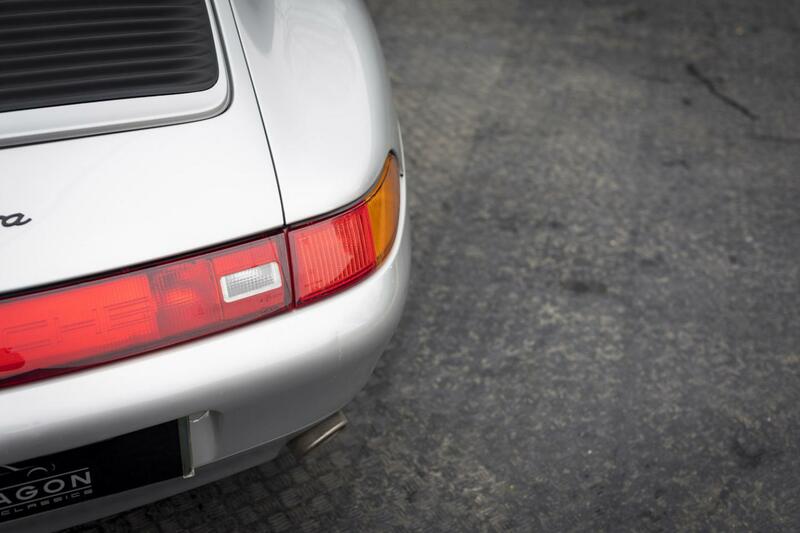 Many of its components were originally developed for the racetrack for the road. 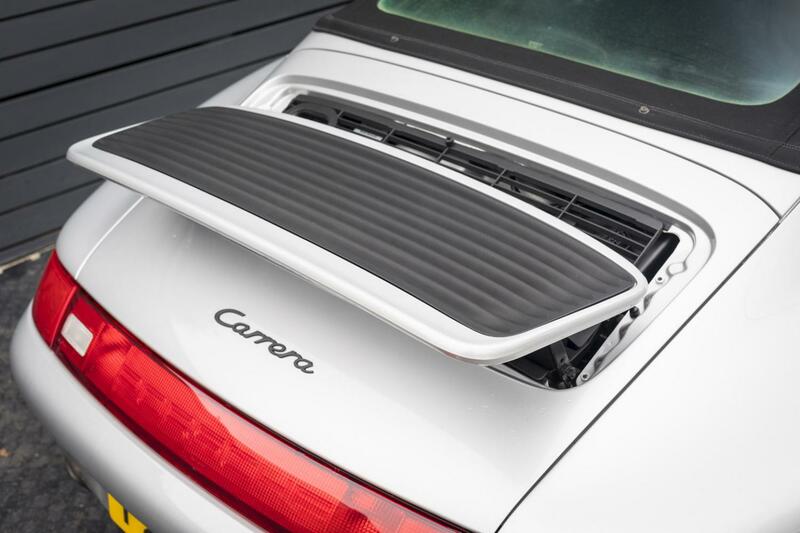 For the 993 to achieve maximum performance and a generous spread of torque, cylinder charging was further optimised by adding variable length inlet tracts to the two-stage tuned intake system. 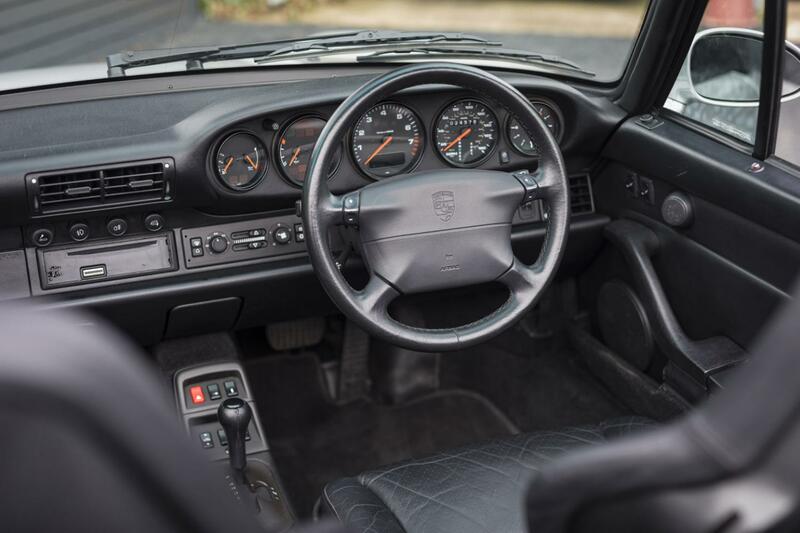 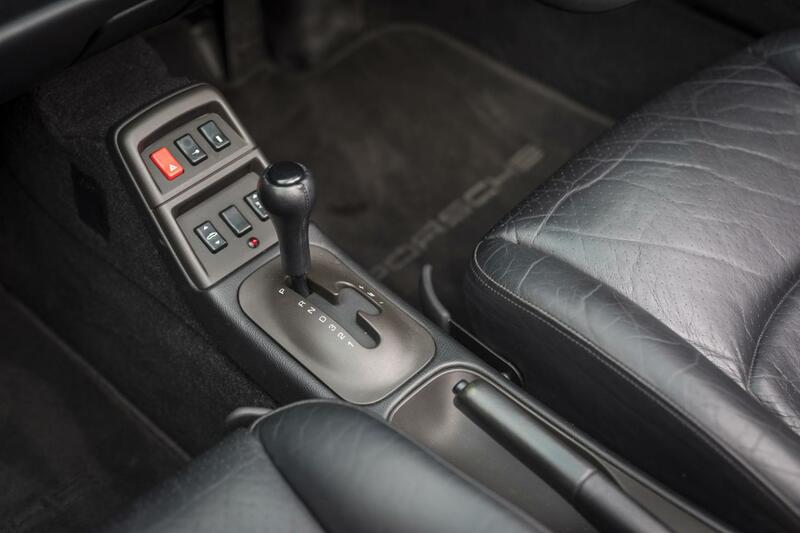 This was known as Varioram, which boosted torque at low and medium engine speeds, making torque more progressive, while at the same time ensuring maximum performance at peak revs. 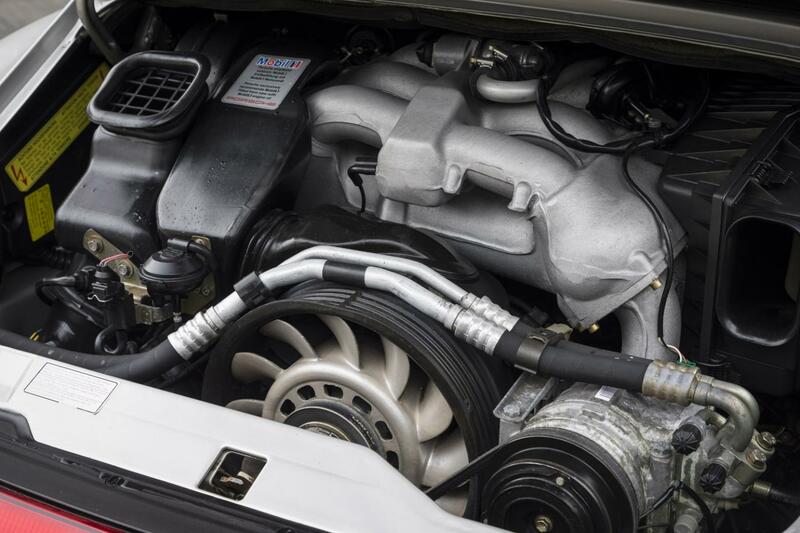 The engine produces 285 HP at 6,100 rpm, maximum torque is 340 Nm at 5,250 rpm. 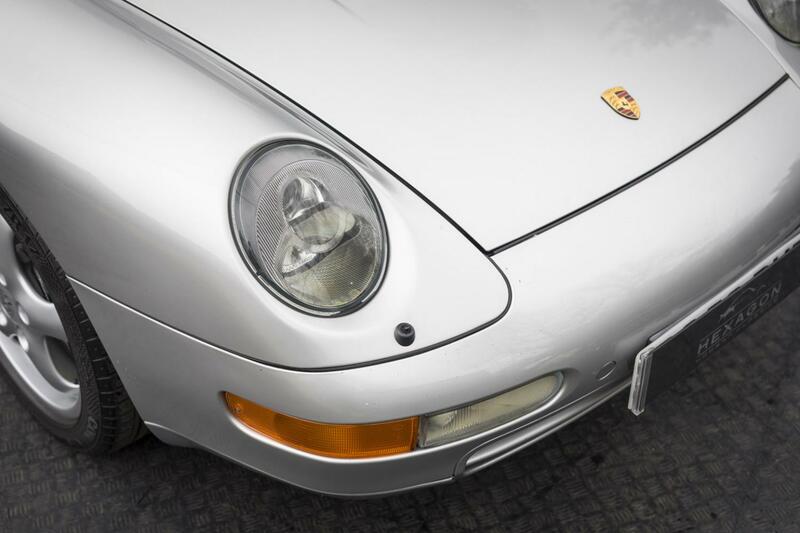 0-62 mph takes just 5.3 seconds. 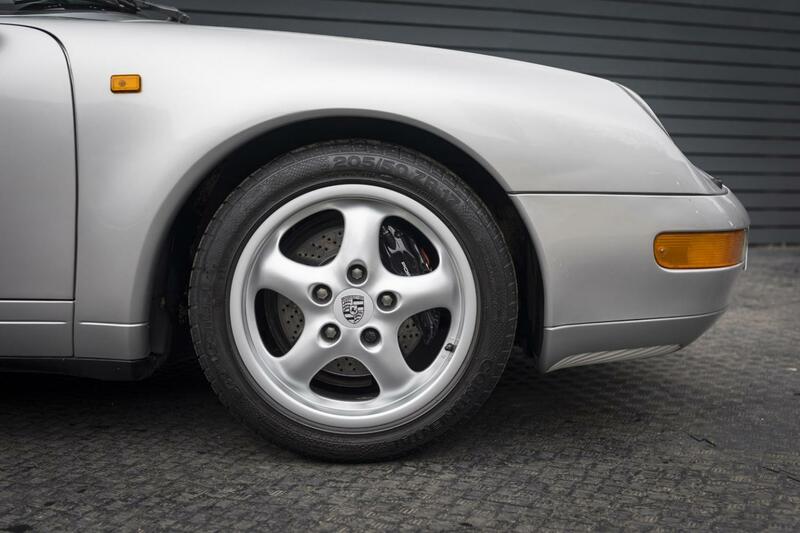 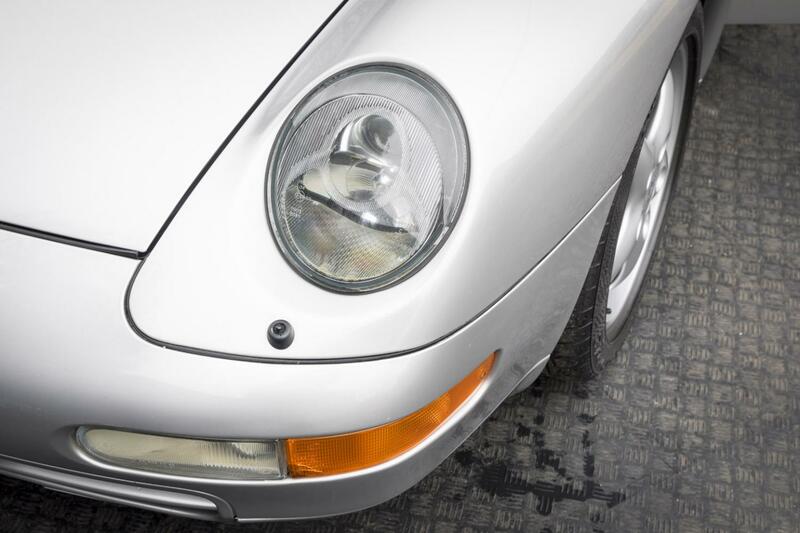 The 993 has a hydraulic dual circuit braking system with 4-piston aluminium fixed calipers. 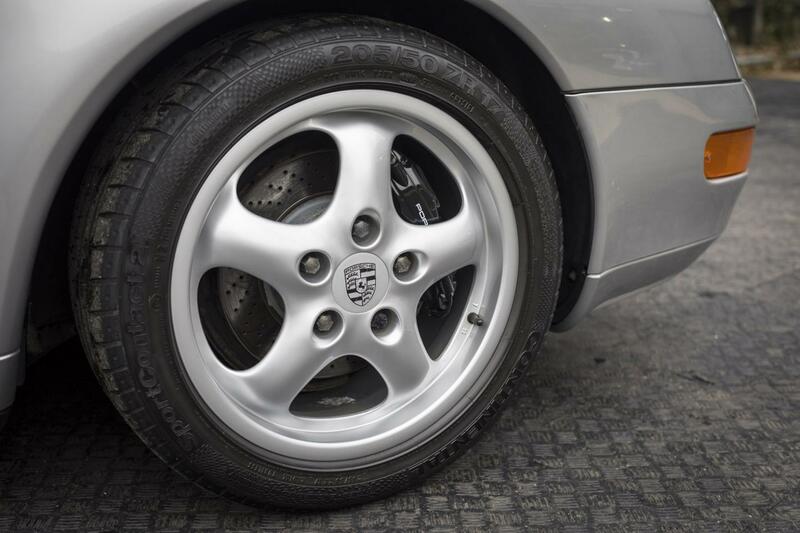 All brakes are cross-drilled, ensuring optimal braking even in wet conditions. 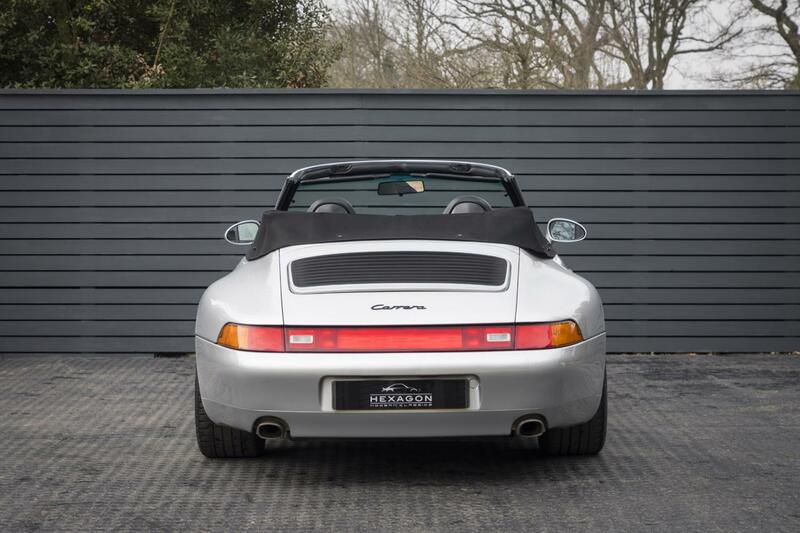 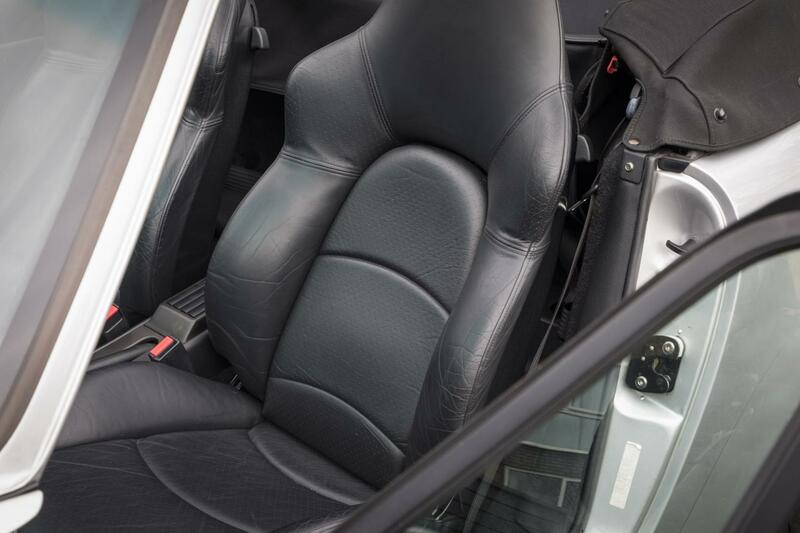 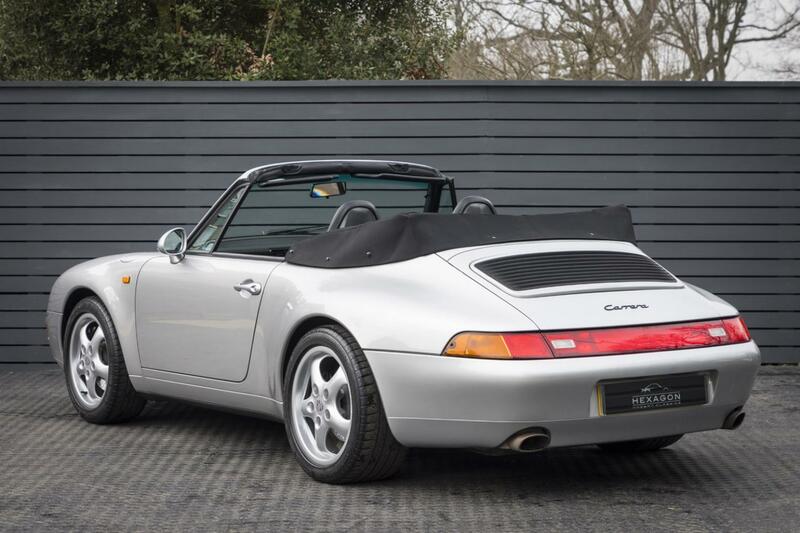 This 993 Carrera Cabriolet was supplied new by in January 1997, and has a remarkable Porsche main dealer service history, which will be hard to match. 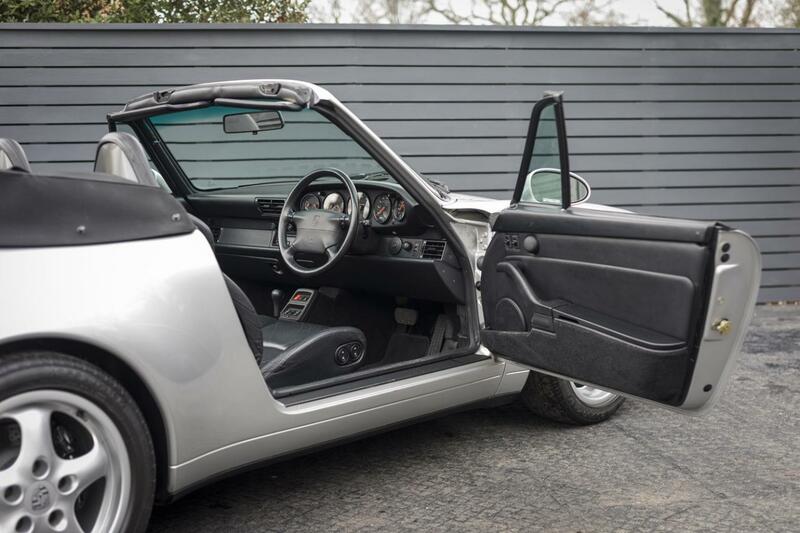 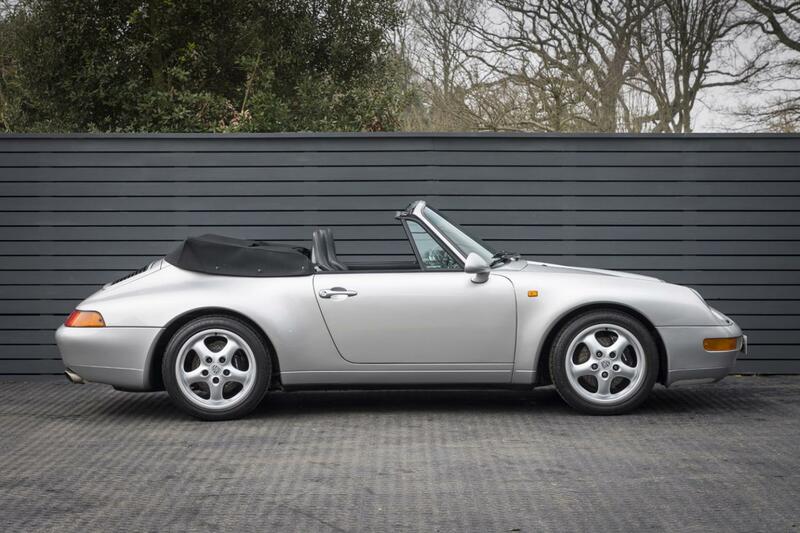 This 993 Cabriolet offers a solid foundation for further potential growth as an investment opportunity in the years to come.